Great shoes! I am very particular about Brooks in general since I wear them for running and weight training. This is a comfortable, bouncy shoe that matches with everything. The material feels great and well made. You do however, feel how they are not the ghost or glycerin model after about 2 good miles. But Iâm happy with them! I personally use the glycerin or ghosts for more mileage. 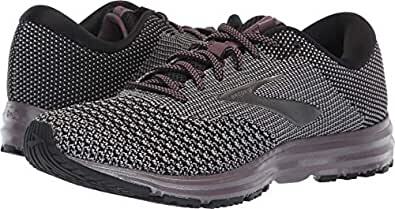 Love these Brooks shoes because they have lots of support and are light weight. These shoes were recommended to me by my podiatrist. I have already purchased a black pair! Absolutely love them, I went from launch 4 to the revel and they sized the same. Love these shoes!!! Very light and supportive! !